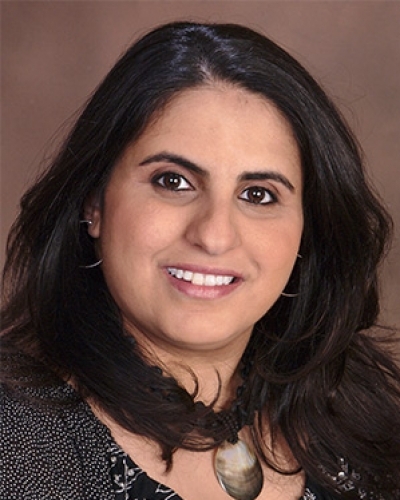 Germine Awad's scholarship is characterized by three interrelated areas of inquiry: prejudice and discrimination, identity and acculturation, and more recently, body image among women of color. She has also written in the area of multicultural research methodology. The majority of her research is guided by the questions "What factors lead to discrimination against ethnic minorities?" and "What impacts perceptions of experienced discrimination?" The two populations that she has primarily focused on are Arab/Middle Eastern Americans and African Americans. Although overt discrimination towards ethnic minorities has decreased over the years, the practice of more covert, subtle forms of prejudice remains. The events of September 11, 2001, however, reintroduced more explicit forms of prejudice towards Arab/Middle Eastern Americans, and those perceived to be Muslim, complicating the dialogue on discrimination in the United States. Awad is concerned with how prejudicial attitudes and ideology impact attitudes towards ethnic minorities generally and within specific domains such as the workplace and higher education. In addition, she examines how racial/ethnic identity and acculturation impact ethnic minorities' perception of discrimination. Most recently, she has expanded her identity and acculturation research to the study of body image concerns among women of color. Awad, G., Norwood, C., Taylor, D., Martinez, M., McClain, S., Jones, B., Holman, A. & Chapman-Hilliard, C. (2015). Beauty and Body Image Concerns Among African American College Women. Journal of Black Psychology, 41, 540–564. doi:10.1007/s11199-015-0516-7. Neville, H., Awad, G., Brooks, J., Flores, M. & Bluemel, J. (2013). Color-blind racial ideology: Theory, training, and measurement implications in psychology.. The American Psychologist, 68(6), 455–466. Awad, G. (2013). Does policy name matter? The effect of framing on evaluations of African American applicants.. Journal of Applied Social Psychology, 43, 379–387. Awad, G. (2010). The impact of acculturation and religious identification on perceived discrimination for Arab/Middle Eastern Americans.. Cultural Diversity And Ethnic Minority Psychology, 16(1), 59–67. doi:10.1037/a0016675. Awad, G. & Cokley, K. (2010). Designing and interpreting quantitative research in multicultural counseling.. Handbook of Multicultural Counseling (3ed., pp. 385–396). Thousand Oaks, CA: Sage Publications, Inc.
Amer, M. & Awad, G. (n.d.). The Handbook of Arab American Psychology. New York: Routledge. The role of acculturation, religious identification, and perceived discrimination o the mental health of Arab/Middle Eastern Americans, 2011-2012. The role of acculturation, religiosity, and perceived discrimination on the mental health of African, Latino/a, and Arab Americans. 2013-2015. I am interested in research on women's experiences within spaces where White men are historically overrepresented, specifically around stereotypes about women in the workplace and the impact of observing and directly experiencing gendered microaggressions. I am also involved with program evaluation of equity-focused initiatives in STEM education.